For years, there's been a debate among Porsche fans about which of its products is a better sports car, the 911 or the Cayman. 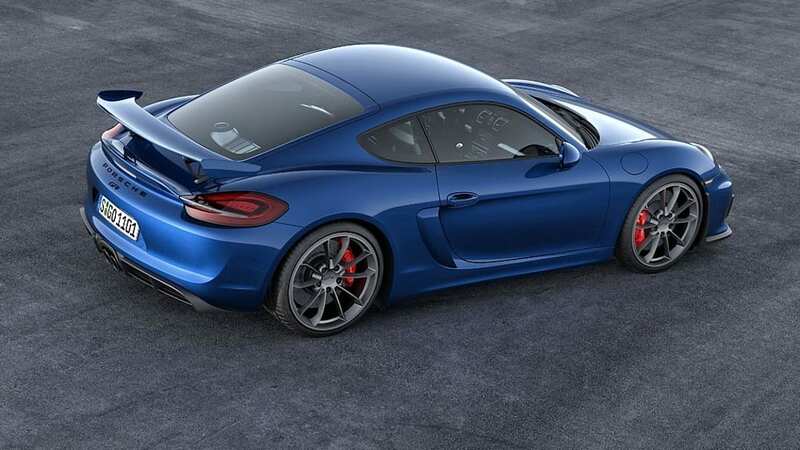 It would only take a few sentences before those in the Cayman corner said that Porsche wouldn't make the Cayman as good as it could be for fear of overshadowing The Number One Son. 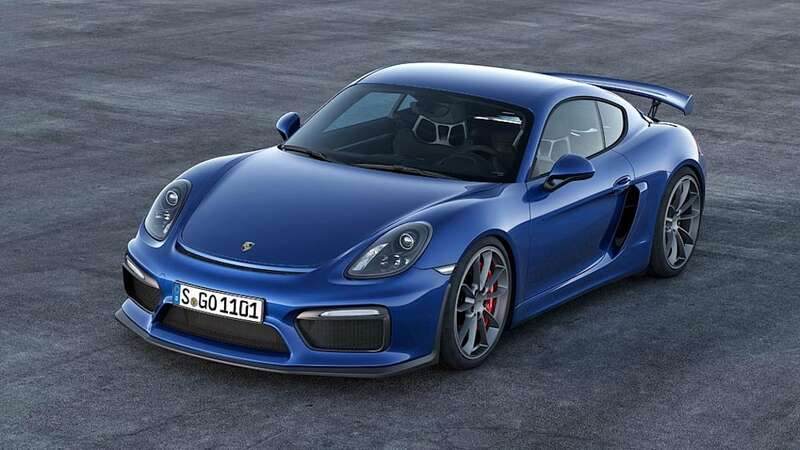 We have a feeling these conversations are going to get a lot livelier with the introduction of the Cayman GT4, which pilfers lightly from the 911 Carrera S and heavily from the 911 GT3. On the outside, you can look to its front fascia, wheels, and fixed rear wing, and 30-millimmeter lower ride height for GT3 inspirations. 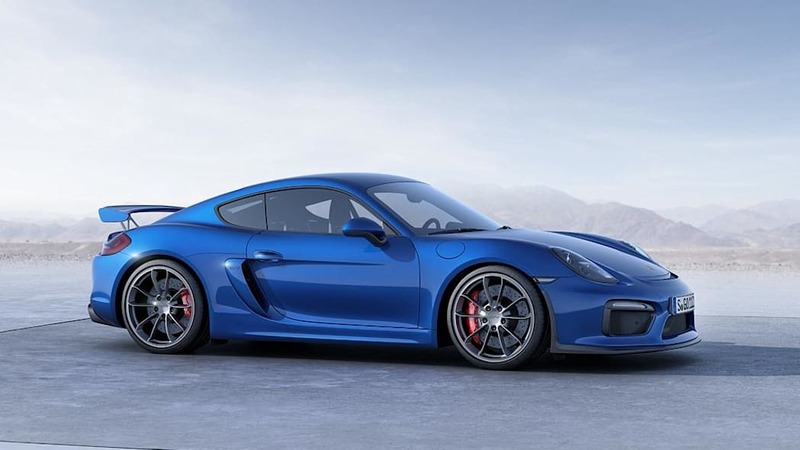 Underneath, there's a 385-horsepower, 3.8-liter flat-six engine amidships, credited as being derived from the Carrera S. While there are those out there still lamenting the fact that the GT3 can only be had with a dual-clutch transmission, the Cayman GT4 "transmits its power solely through a six-speed manual transmission with dynamic gearbox mounts." Yeah. So take that. 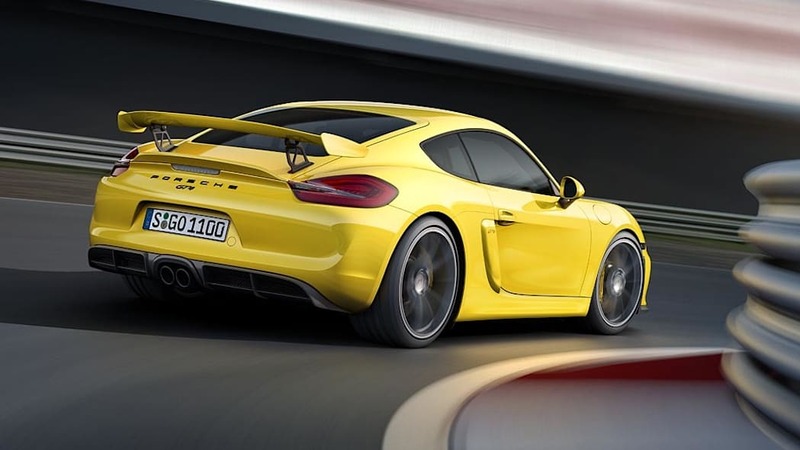 The extra power reduces the Cayman GT4's 0-to-60 mile per hour sprint to 4.2 seconds, a half second quicker than the 340-hp Cayman GTS, and bumps top speed up to 183 mph. 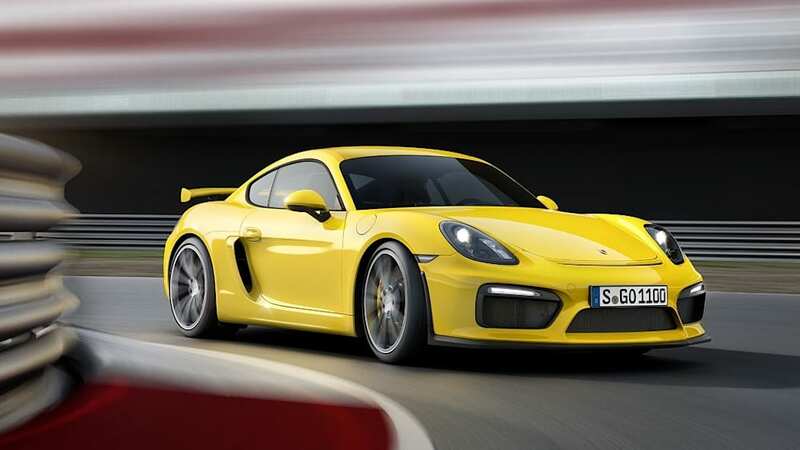 An interesting nugget: Porsche says the Cayman GT4 runs the Nürburgring in seven minutes and 40 seconds, which it credits as the same time run by the 2011 911 GT3. Porsche has never offered a precise time for the current 911 GT3, saying only that it's "under 7:30," and Internet rumor (grab your salt lick) is that the not-yet-introduced GT3 RS has done a 7:20. We don't have all of its details yet – those will come closer to its introduction at the Geneva Motor Show next month – but we're told of a lot more 911 GT3 parts underneath, like the chassis that "consists almost entirely of components from the 911 GT3" and that all of its "technical aspects are based on the 911 GT3." If you want to take it further, the options sheet will include ceramic brakes and carbon fiber bucket seats. This new top-shelf Cayman gets to dealerships in the US in July with a starting price of $84,600 before a $995 destination charge. You'll find a few more bits of info in the press release below. 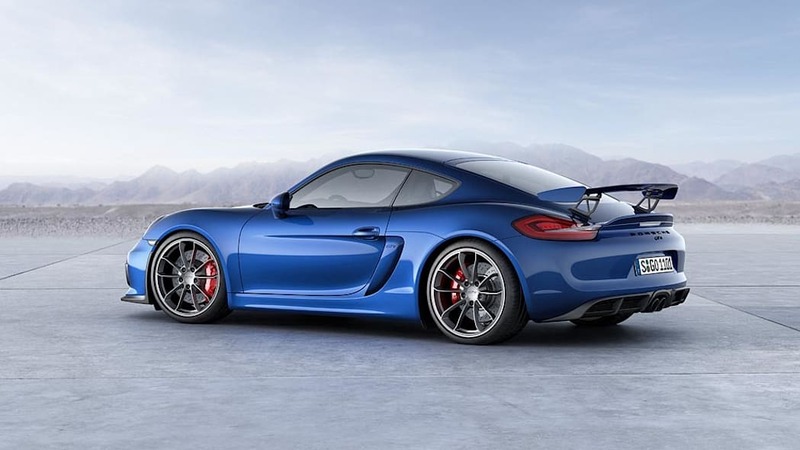 Atlanta, Feb. 3, 2015 - Porsche's GT family is proud to announce the addition of an exciting new member: the Cayman GT4. 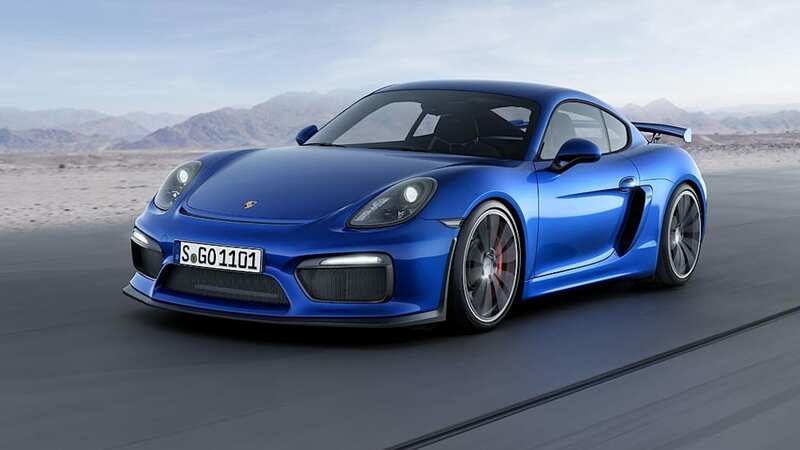 This is the first Porsche GT sports car based on the Cayman and features components of the 911 GT3. 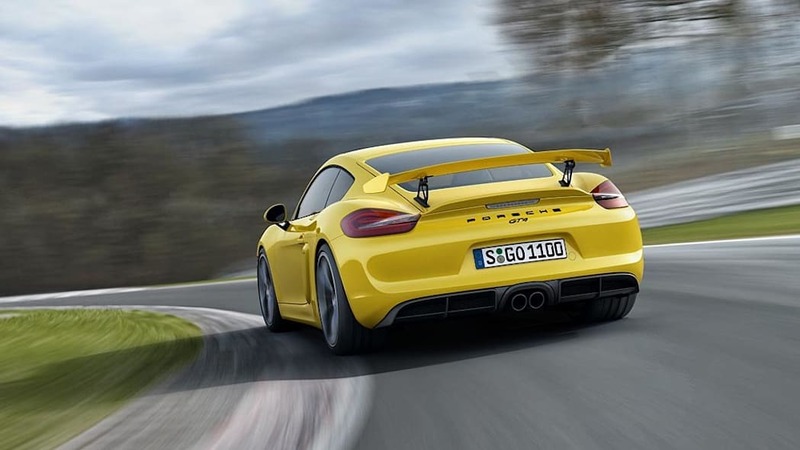 Clocking a lap time of 7 minutes and 40 seconds on the North Loop of the Nürburgring, the Cayman GT4 earns the same lap time as the 2011 911 GT3 and positions itself as the new benchmark atop its market segment. The Cayman GT4 clearly demonstrates Porsche's dedication and passion to continue to promote truly industry-leading two-door sports cars in the future – sports cars that are developed at the Motorsport department in Weissach. GT sports cars engineered by Porsche embody the most passionate connection possible between everyday driving and Porsche's competition heritage and highlight the sporty core of the brand: Intelligent Performance. 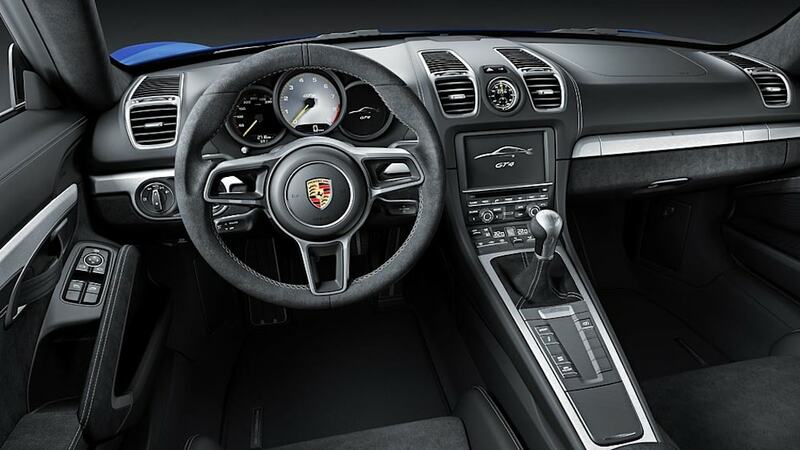 Porsche Cars North America, Inc. (PCNA), based in Atlanta, Ga. is the exclusive U.S. importer of Porsche sports cars, including the Macan and Cayenne SUVs and the Panamera sports sedan. Established in 1984, it is a wholly-owned subsidiary of Porsche AG, which is headquartered in Stuttgart, Germany, and employs approximately 270 people who provide parts, service, marketing and training for 189 dealers. They, in turn, work to provide Porsche customers with a best-in-class experience that is in keeping with the brand's 66-year history and leadership in the advancement of vehicle performance, safety, and efficiency.